Rent a fully equipped camper suited to all your camping needs, and your spirit of adventure. 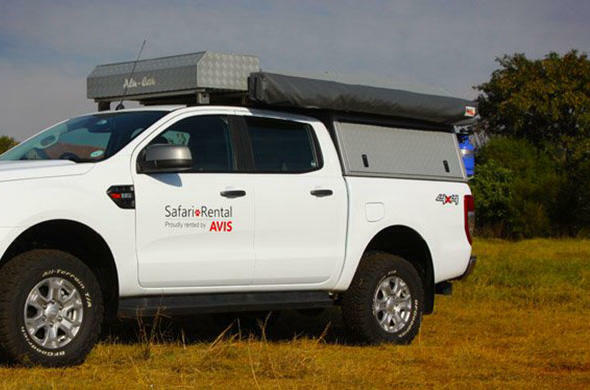 These 4x4 vehicles are permitted to travel into neighboring countries, (Mozambique, Zimbabwe, Botswana and Namibia) so that you can enjoy the full experience that Africa has to offer. As the person renting the vehicle you MUST have YOUR credit card and YOUR drivers license with you in order to collect or receive the vehicle you have booked. This policy is for insurances purposes and is stipulated by all car rental companies. You will not be able to take the vehicle unless you can comply with this stipulation. 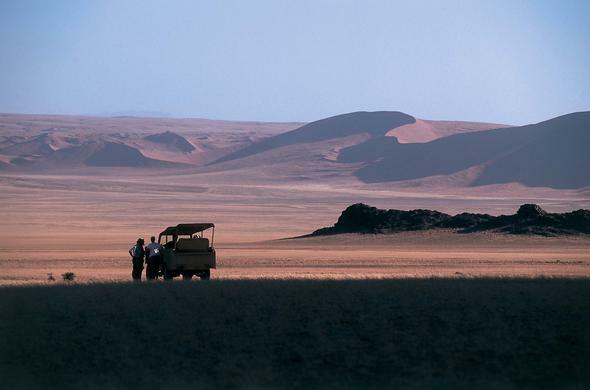 Rugged, yet comfortable, the Toyota Land Cruiser has incredible 4x4 capabilities and can will take you anywhere, Across the deserts of Namibia or safari into the Okavango Delta, onto the beaches of Mozambique. 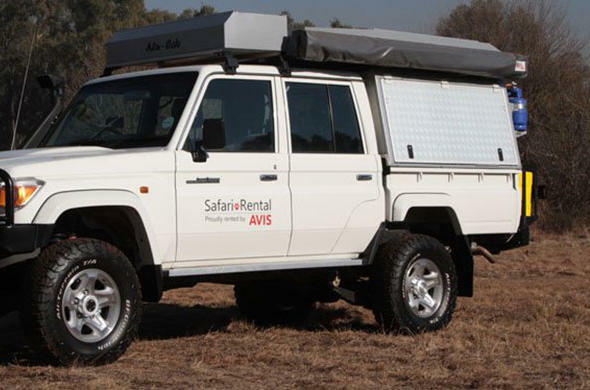 And with space for 4 this vehicle is perfect for family or group safaris. 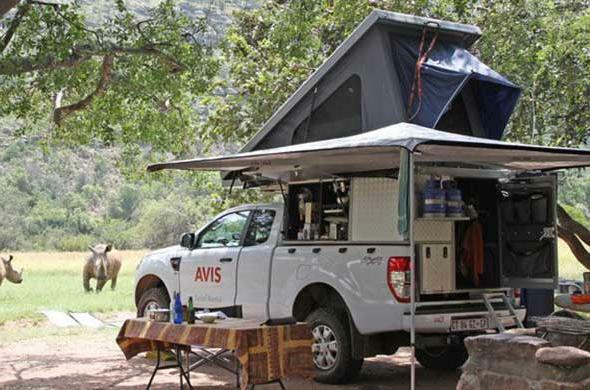 Make your overland adventure a memorable one with the Ford Ranger Safari vehicle Equipped with 2 double beds, a kitchen, pressurised hot shower plus much more. All you camping needs will be taken care of. Built for off-road conditions you won't be left stranded. 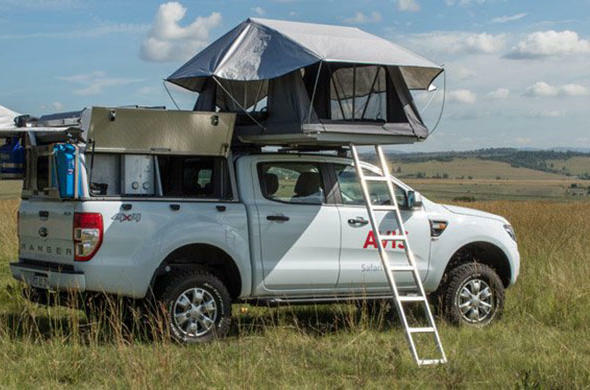 The Ford Ranger Luxury Family / Group Luxury Camper offers enough space for two couples or a family of 4, combined with safety and comfort. Make camping luxurious, with itas wide range of features. 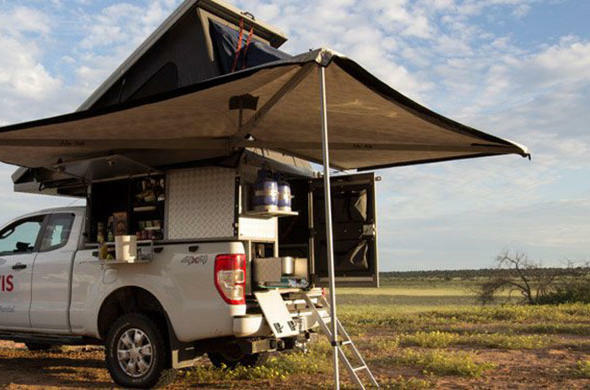 Ideal for two, the Ford Ranger Luxury Camper provides the ultimate design, comfort and safety. Make your memorable journey a comfortable one with its range of unique features. Built for expeditions across rough terrain, the Ford Ranger Double-Cab, you can go roughing it in style and luxury. With you safely and in comfort, this is go-every-stop-and-camp work-horse that you will enjoy.